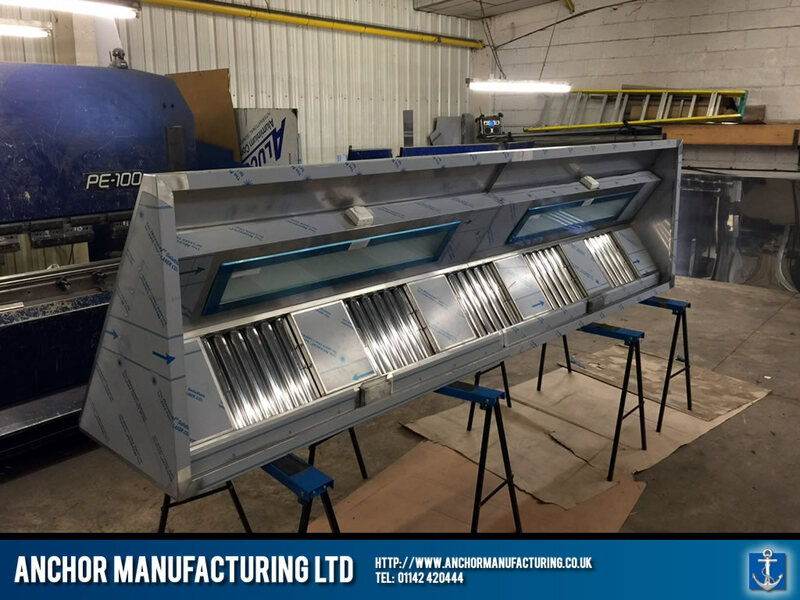 Finished Steel Kitchen Canopy with LED lighting. 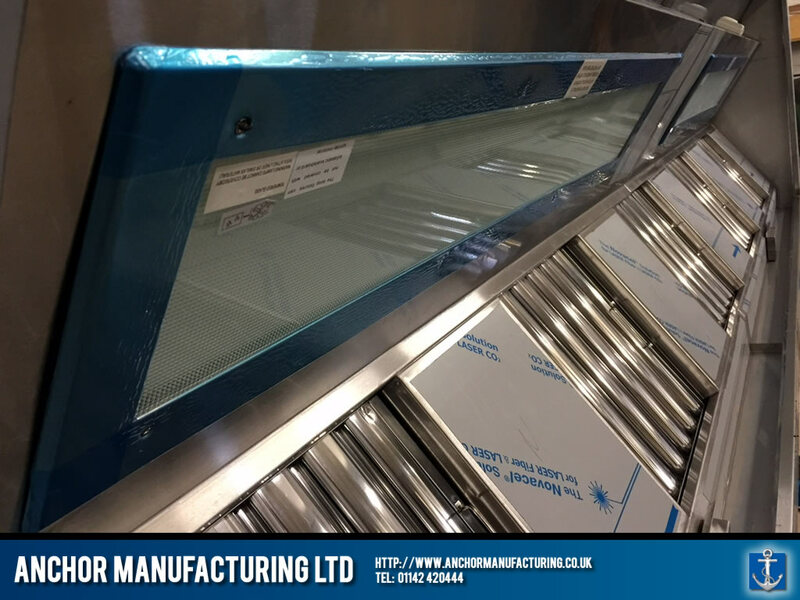 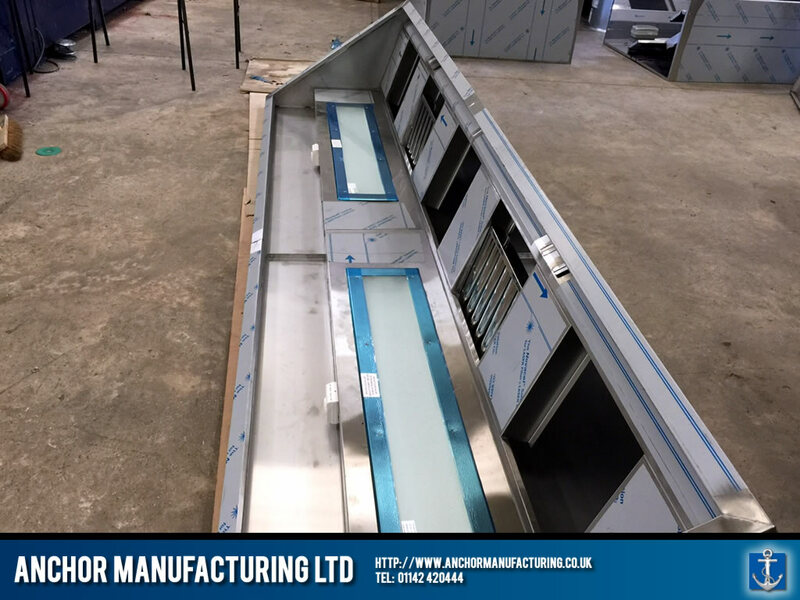 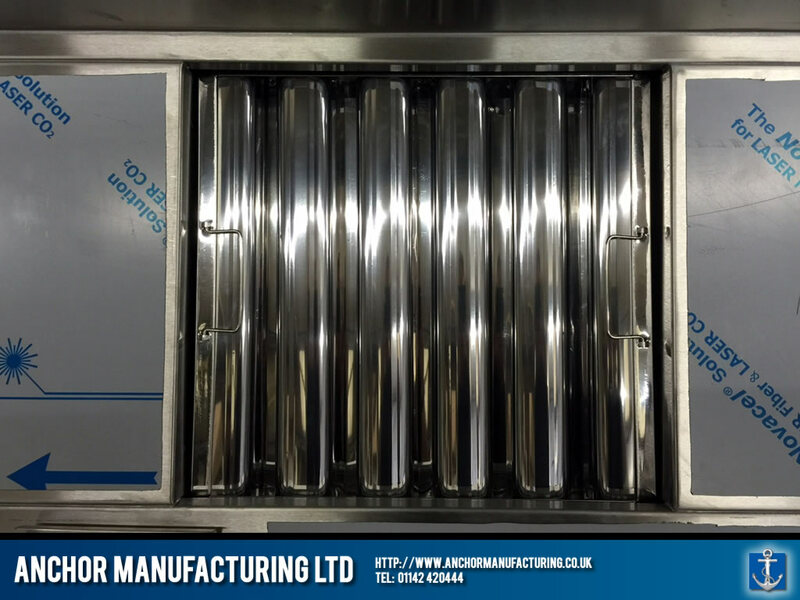 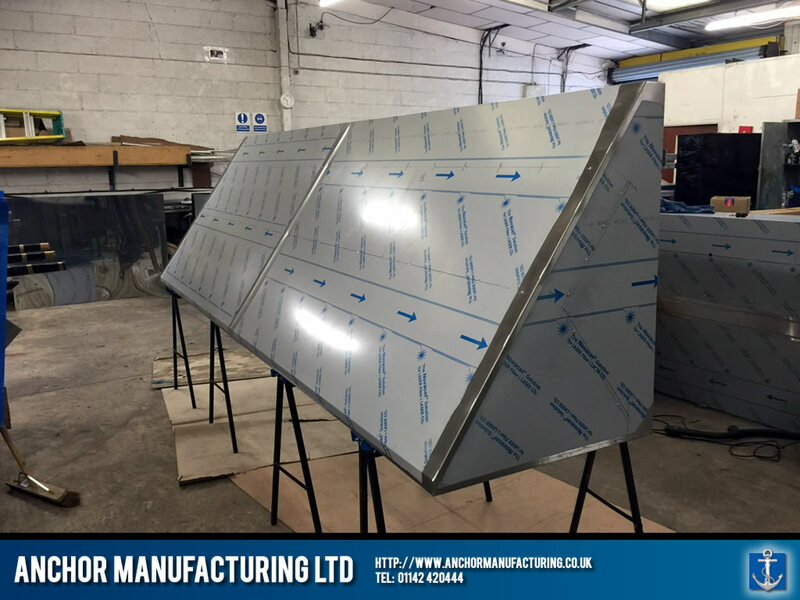 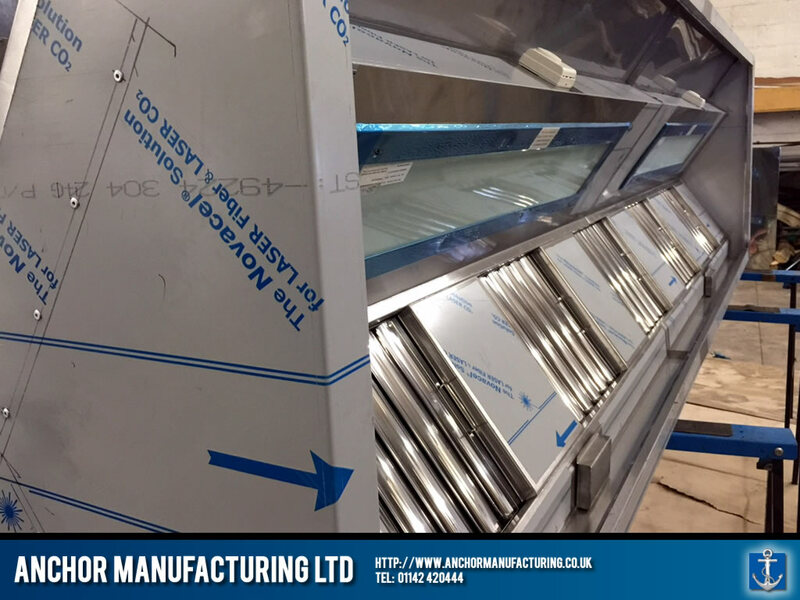 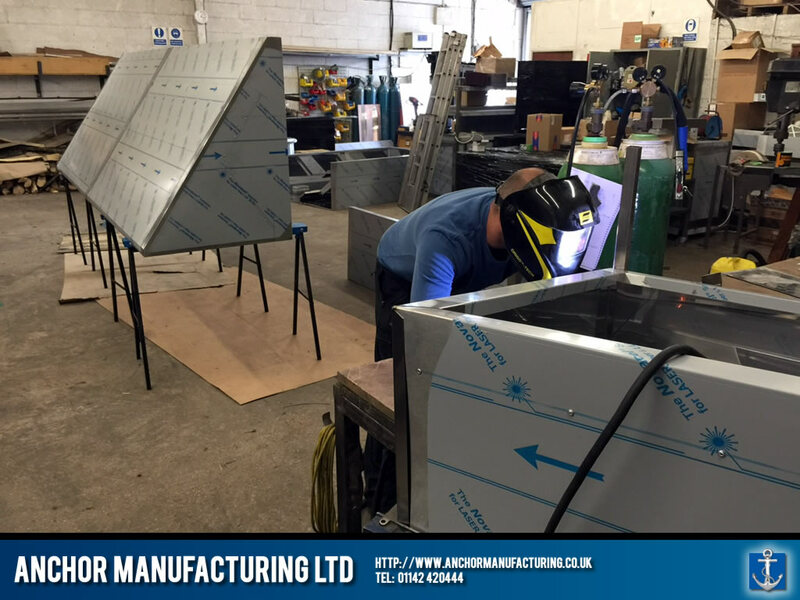 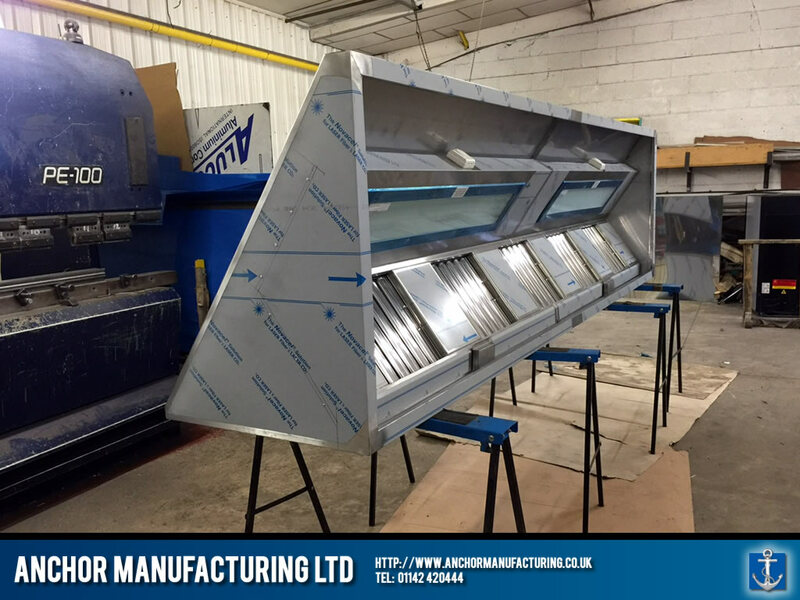 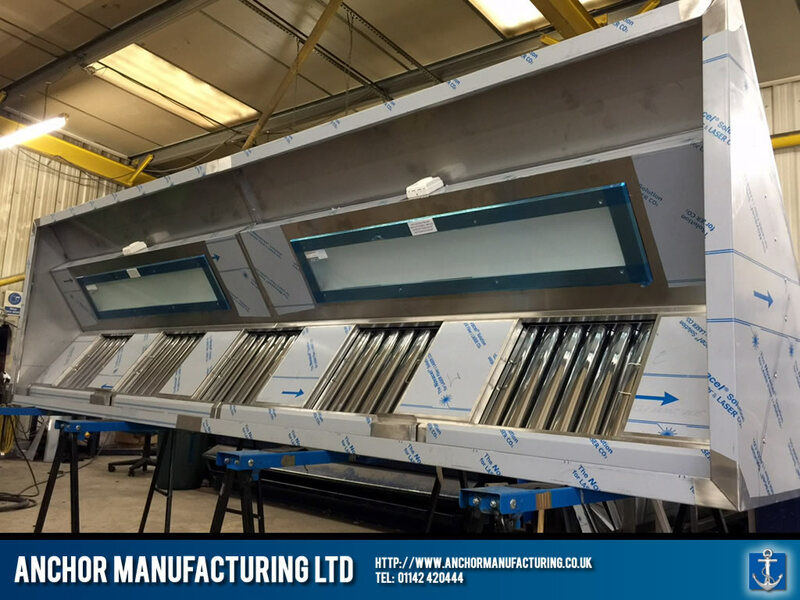 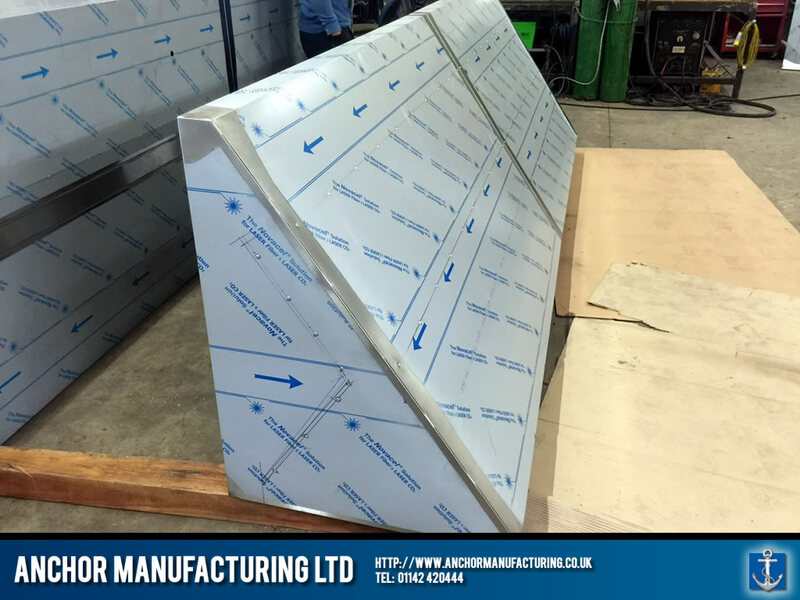 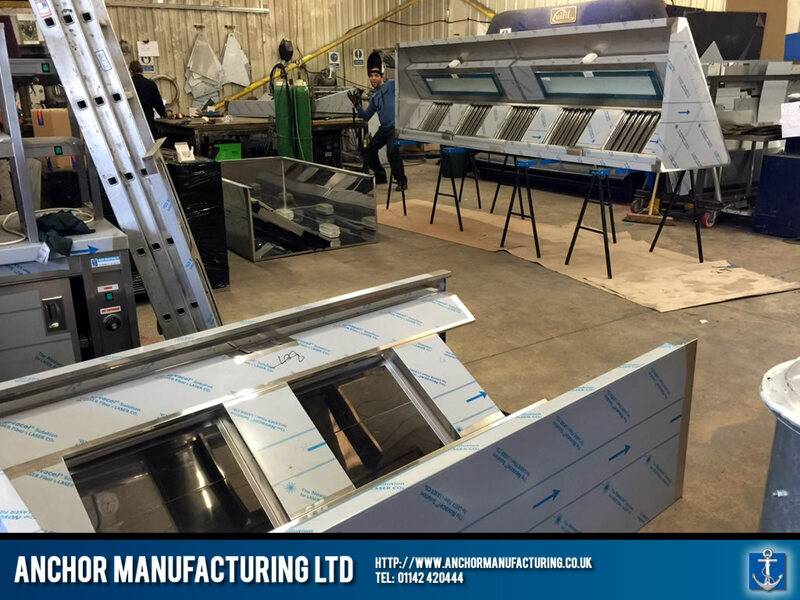 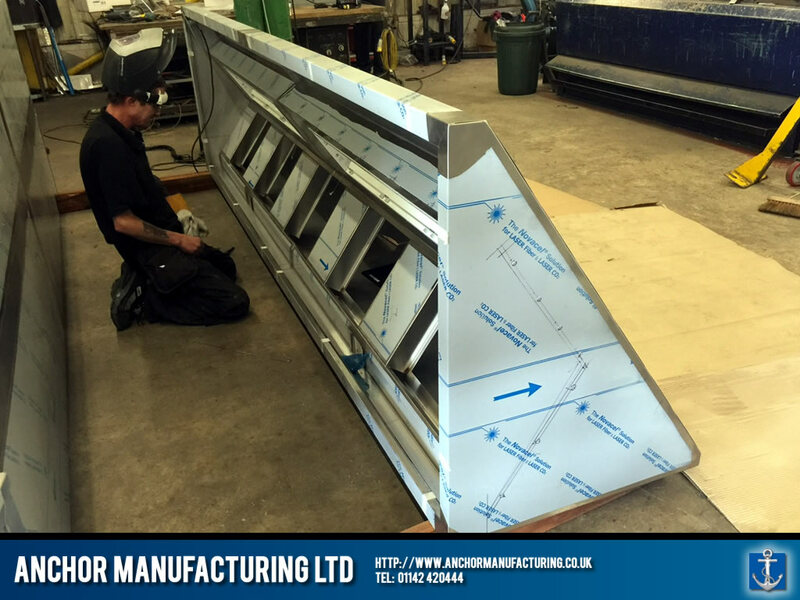 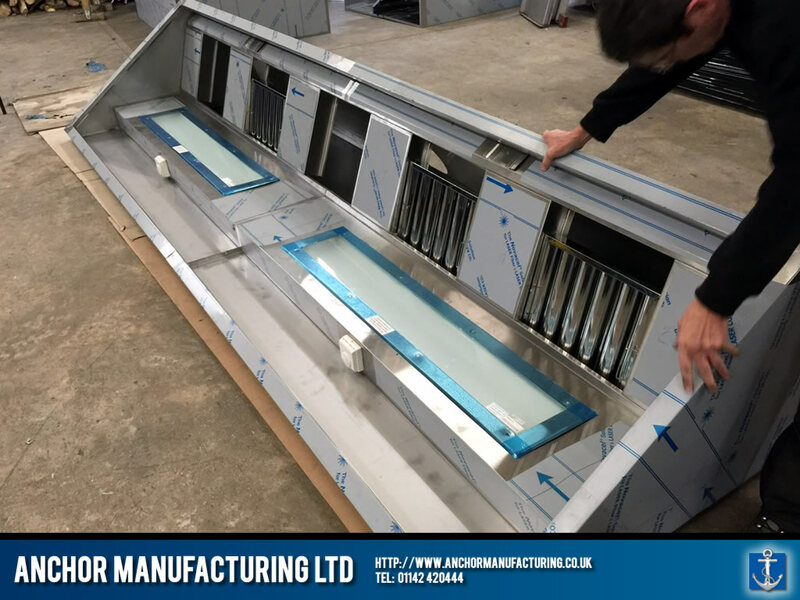 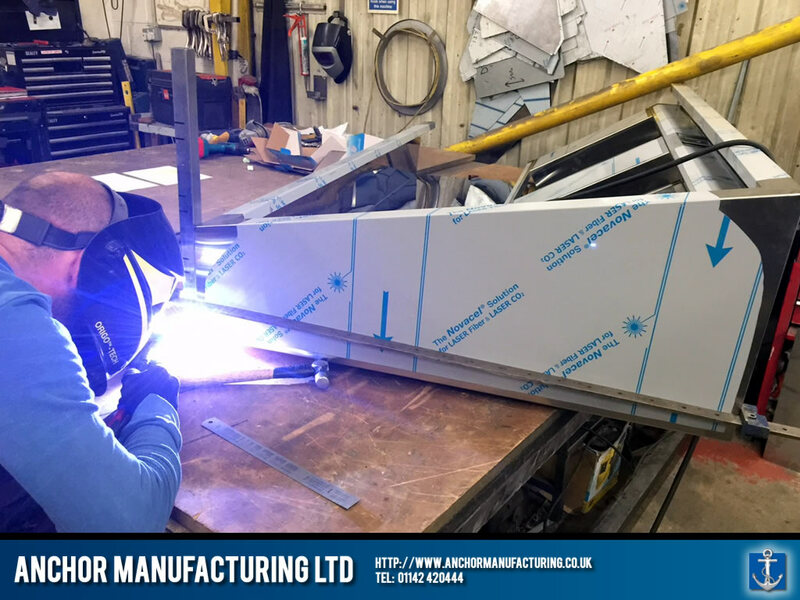 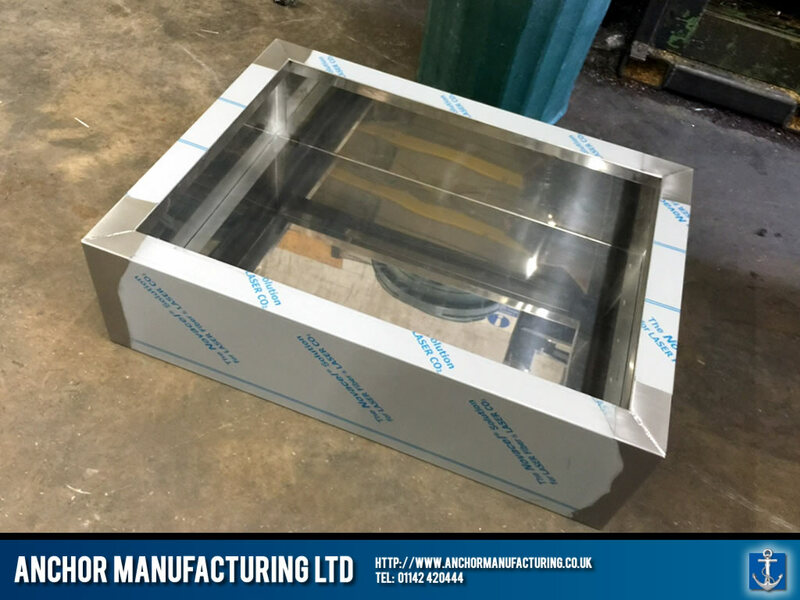 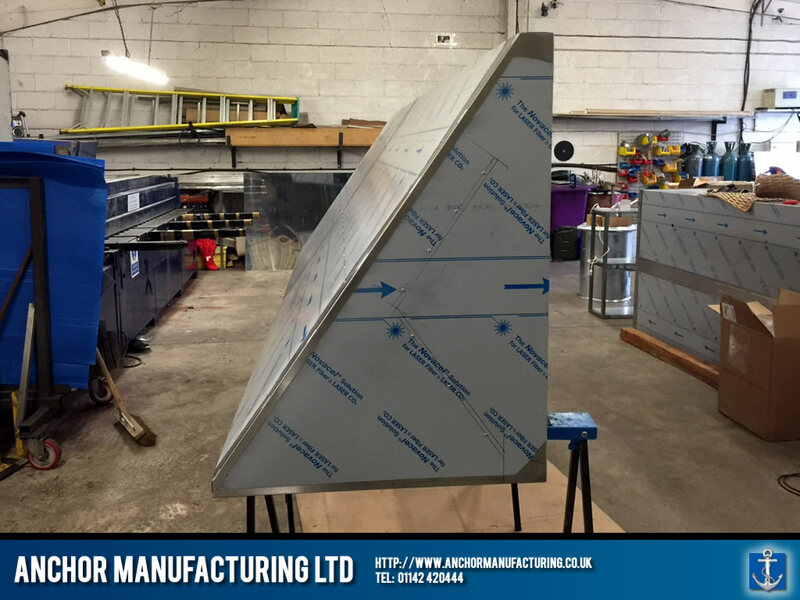 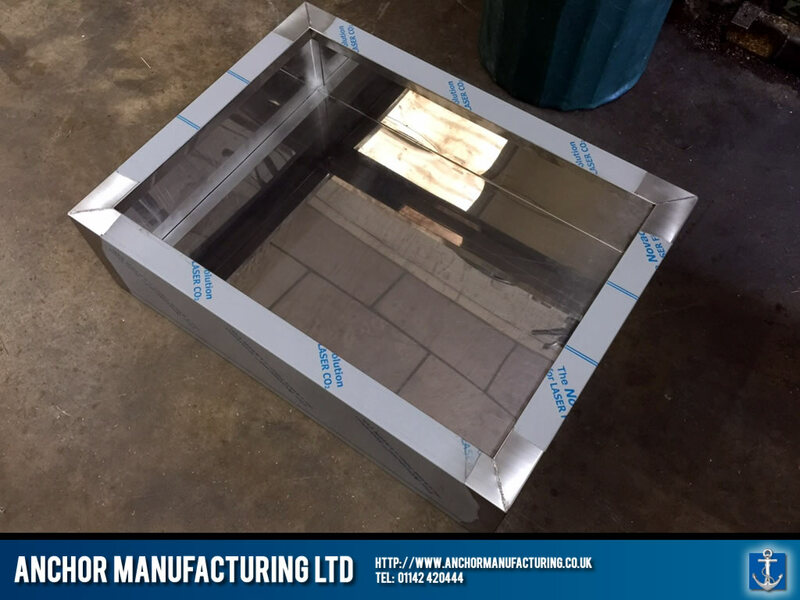 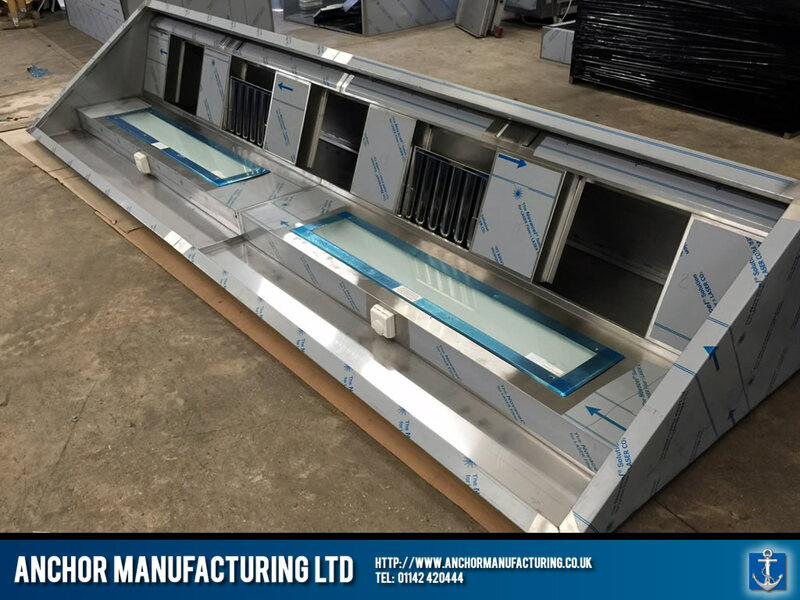 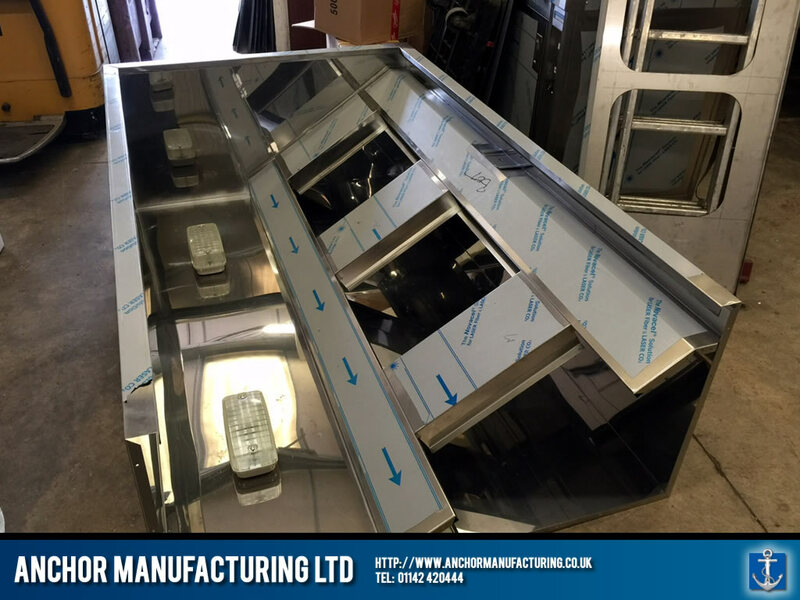 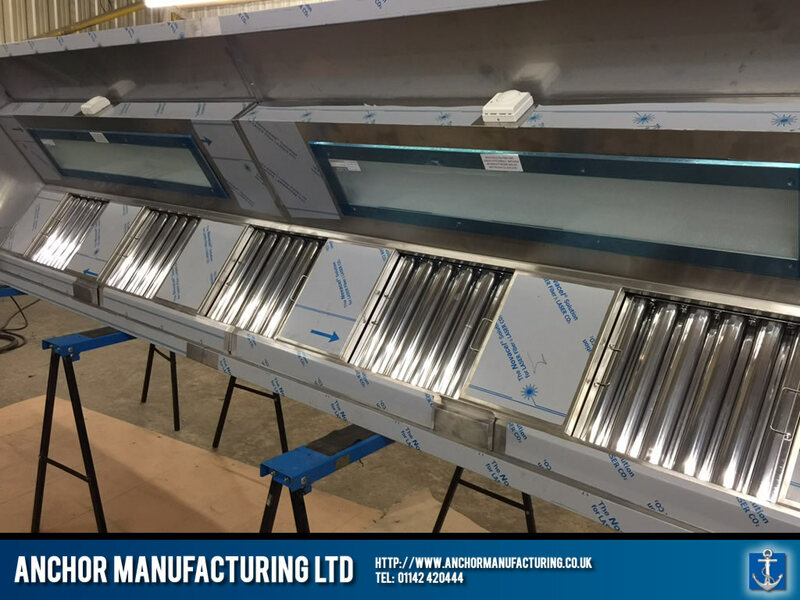 Special fabrication requests anyone?, this custom bit of engineering is a bespoke 4 metre stainless steel kitchen extraction canopy made from the finest 304 Grade stainless steel. 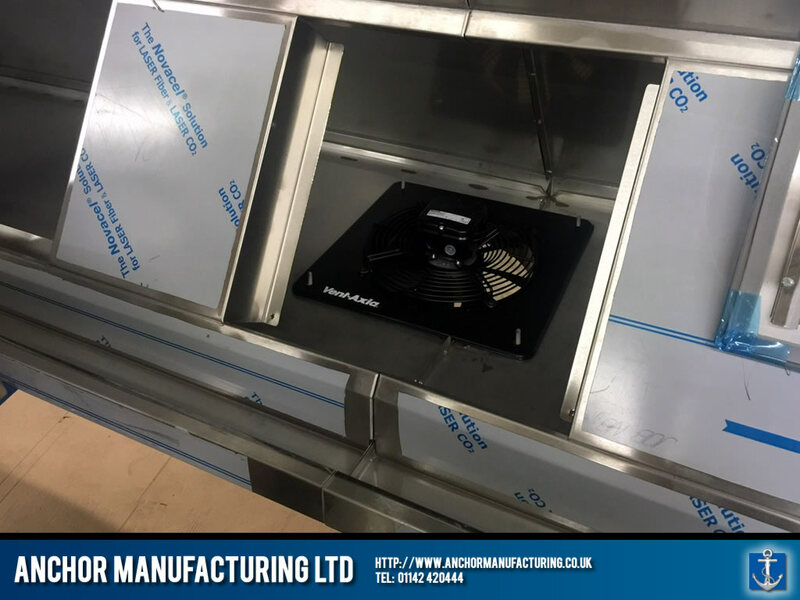 The top of the kitchen canopy has been uniquely fabricated at 60°and a Vent Axia 2 pole fan unit has been installed to the rear, enabling massive airflow. 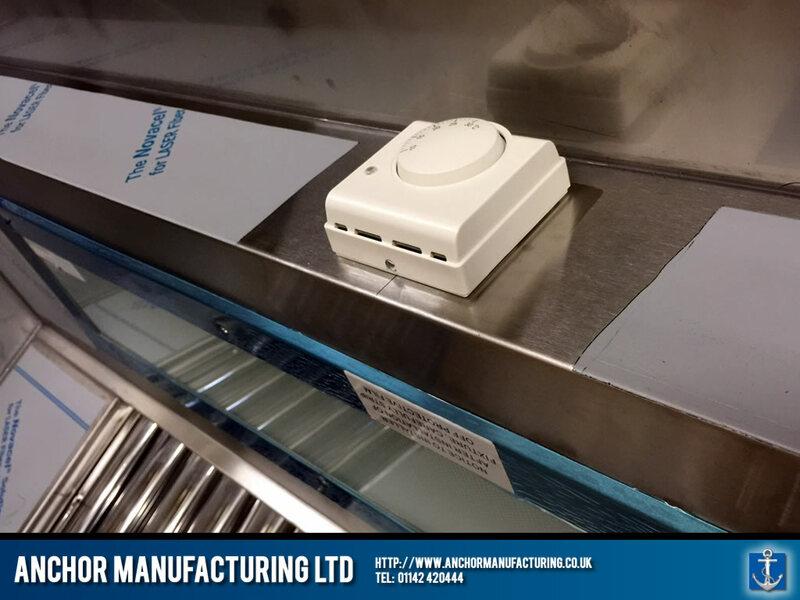 What you may notice however, is that the system is completely thermostatically controlled. 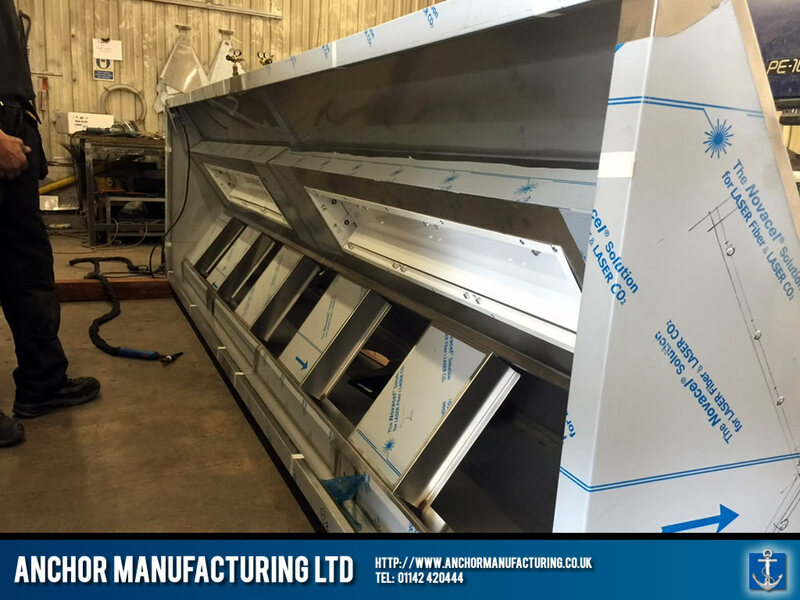 The extraction begins as soon as the heat threshold is reached and the fan speed increases or decreases accordingly. 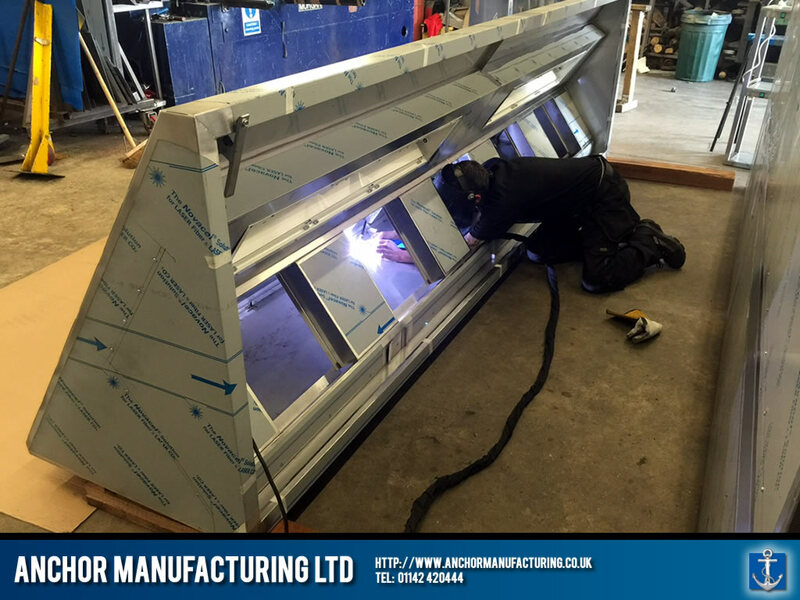 The system also boasts two recessed energy efficient LED lighting systems contained within a stainless steel box.